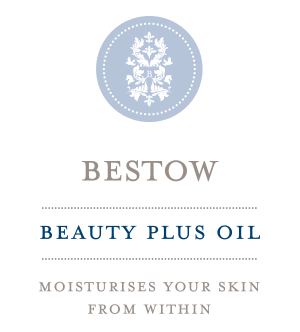 Bestow Beauty Plus Oil is a booster version of Bestow Beauty Oil, providing extra nutritional support during times of stress or ill health. Did you know that Omega 3 and Omega 6 are actually families of fats? When your body is functioning well, you only need to provide it with the primary fat and it will successfully produce all the other members of that fat family. However, ill-health and stress can cause a blockage to occur, meaning the body cannot produce all the fats which are needed for skin and body health. Bestow Beauty Plus Oil skirts around this blockage and supports the body to produce all the life-giving fats it needs to thrive. We recommend you begin with Bestow Beauty Plus Oil to clear any existing processing blockages and to address EFA deficiencies efficiently. After one or two bottles, you can then move onto Bestow Beauty Oil. It is fine to remain on Bestow Beauty Plus Oil indefinitely if you wish. The blackcurrant and coconut oils make the taste of the Bestow Beauty Plus Oil milder and more fruity than Bestow Beauty Oil and some people prefer it. Take one tablespoon of Bestow Beauty Plus Oil every day, mixed into food. To maximize the benefits, you need to take Bestow Beauty Plus Oil everyday. Adopt a skin-food ritual from the list below that works for you. A breakfast smoothie is a delicious way to kick-start the day nutritionally and super-easy to make. 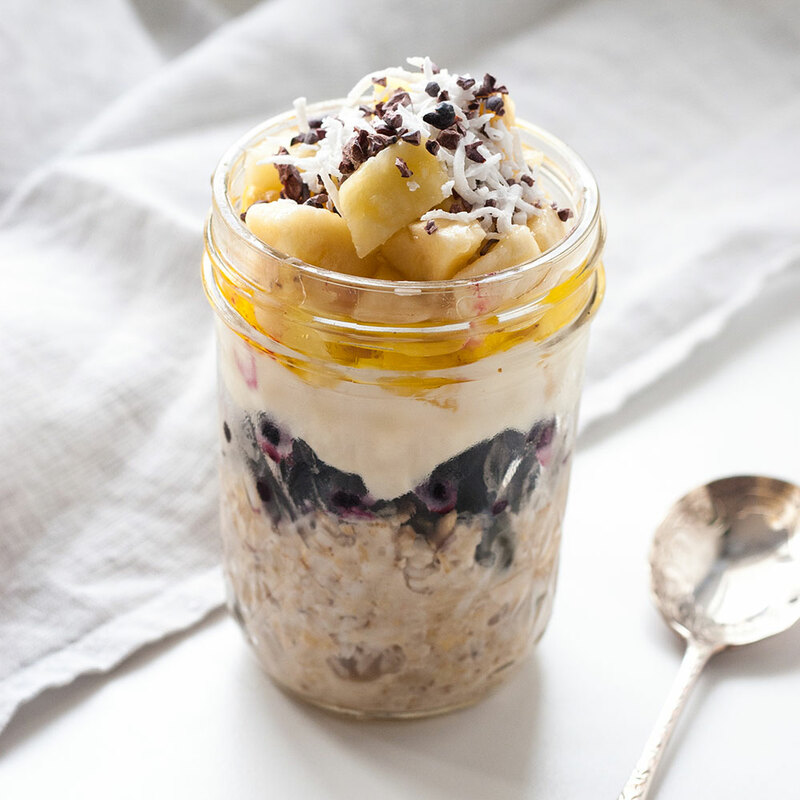 This smoothie recipe includes protein to sustain your energy throughout the morning. Naturally, it includes the Twin Skin Essentials (Bestow Beauty Oil and Bestow Beauty Powder) and you can also add any other Bestow blends you are using. Here is the recipe. You can drizzle one tablespoon of Bestow Beauty Plus Oil over your breakfast muesli or porridge (once it is cool enough to eat). Don’t reach for a coffee or sugary snack at 3pm. 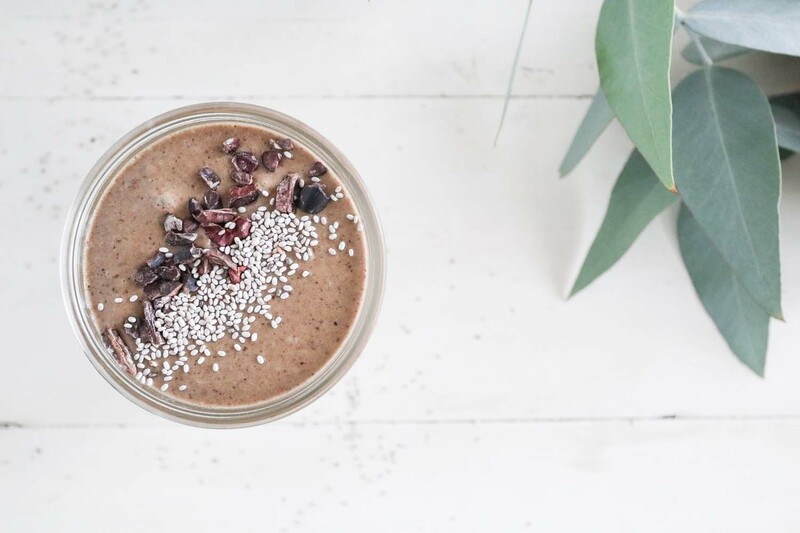 Instead, make this energising chocolatey smoothie which will feel like a treat but will keep your blood sugar levels stable. This will set you up to make healthy choices at dinner time. Including the Twin Skin Essentials, this smoothie is packed full of beautiful skin nutrition. Here is the recipe. This delicious Bestow Lemony Vinaigrette works with almost any salad and is an easy way to ensure you get your daily dose of Bestow Beauty Pus Oil. A simple way to take your oil everyday is simply to mix it into a little bit of yoghurt. You could add some blueberries and sunflower seeds for an afternoon snack, or you just have it plain in the evening. It’s a hassle-free way to make sure you can get your daily dose of Bestow Beauty Plus Oil on even the busiest of days. HOW TO STORE YOUR BESTOW BEAUTY PLUS OIL? From our perspective, all Bestow products are safe for pregnancy and breast-feeding and help to enhance the health of both mother and baby during this important, formative time. However, it is our recommended best practice that your clients first check with their own doctor or midwife before taking Bestow products. 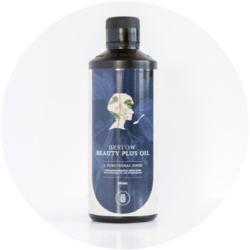 Organic cold pressed flaxseed, safflower oil, hemp, coconut, evening primrose and blackcurrant seed oils. 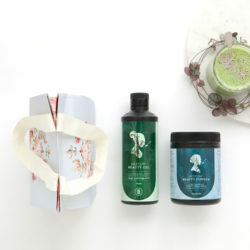 We recommend the Twin Skin Essentials Pack as essential to your daily skin health rituals. Bestow Beauty Oil Plus tastes beautiful, looks beautiful and keeps my skin beautiful! I have a tendency to struggle with eczema, but it has markedly improved by taking Bestow Beauty Oil over the years. Recently I forgot to take my oil due to a change in my eating habits and to my horror, my eczema started to return. I started taking a tablespoon of Bestow Beauty Plus Oil and it is back under control again. The more fruity flavour, due to the blackcurrant oil, tastes great in my soaked muesli every morning. As a beauty therapist, I recommend Bestow Beauty Plus Oil when my clients are stressed, under the weather or have a poor digestive system which stops them from producing the full family of fats required for health. 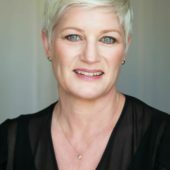 As a beauty therapist I love prescribing Bestow Beauty Plus Oil for clients when working with them to improve their skin. I feel confident that this oil gives the body the jump start it needs to process EFA’s efficiently and helps to rebalance oil flow on the skin. 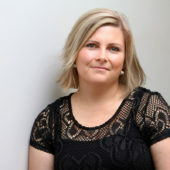 This means my client see changes quickly which assures them that we heading in the right direction.